Go above and beyond and give a unique gift from our selection of great gifts for mom that really touches the heart this Mother's Day. 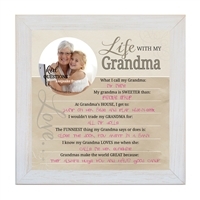 The Grandparent Gift Co. has presents for mothers that are guaranteed to leave her smiling. If it's the first Mother's Day for mom, choose one of our First Child Keepsake Frames. 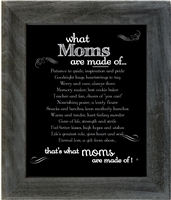 Other special gifts for mom include our traditional Mother's Heart Poem and Handprint Keepsakes. Only gifts from the heart will do!